“For the majority of New Yorkers – and Americans – who support the right to safe and legal abortion, the Supreme Court’s ruling in McCullen v. Coakley striking down the Massachusetts buffer zone is disappointing. However, NARAL Pro-Choice New York and the National Institute for Reproductive Health are encouraged that the highest court continues to recognize the government’s significant interest in protecting access to safe and legal abortion care. “As was stated in the amicus curiae brief we proudly joined for this case, violence against patients and providers at abortion clinics poses a substantial threat to individual safety and an unjust barrier to access to all reproductive health care services provided, not just abortion. A long history of violence and harassment against abortion providers and patients exists, including in our home state with the tragic 1998 murder of Dr. Barnett Slepian in Buffalo, NY. There’s a clear and demonstrated need for protections against anti-choice violence. “Importantly, the Supreme Court upheld previous precedent allowing buffer zones and recognized the role of localities in protecting patients and providers. The Court wrote that New York City’s clinic access ordinance, in particular, could ‘constitute a permissible alternative’ to the buffer zone that was struck down. This ruling underscores our need to advance state and local strategies that ensure the safety and dignity of all women accessing the full range of reproductive health care services. 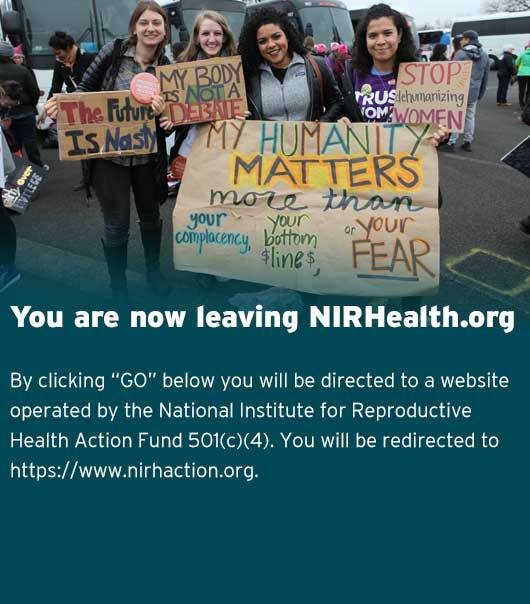 “For years, NARAL Pro-Choice New York and the National Institute for Reproductive Health have workedwith partners in New York and across the country to tailor solutions for clinics facing threats to patient and provider safety. The National Institute helped advocates in Pittsburgh pass a local buffer zone and has engaged in similar strategies across Pennsylvania, among other states and cities. “The ruling also acknowledged the role of local law enforcement in ensuring safe access. NARAL Pro-Choice New York and the National Institute for Reproductive Health urge local law enforcement to work with providers and clinic staff to protect access to reproductive health care facilities. NARAL Pro-Choice New York and the National Institute for Reproductive Health are affiliated organizations that work to promote reproductive rights and expand access to reproductive health care in New York and in cities and states across the country.